I'm registered, how do I book my hotel? SXSW Housing & Travel reserves the best selection of Austin hotels at the best available rates during SXSW. Rooms at these special rates sell out quickly so book early to access our low rates and widest range of choice. 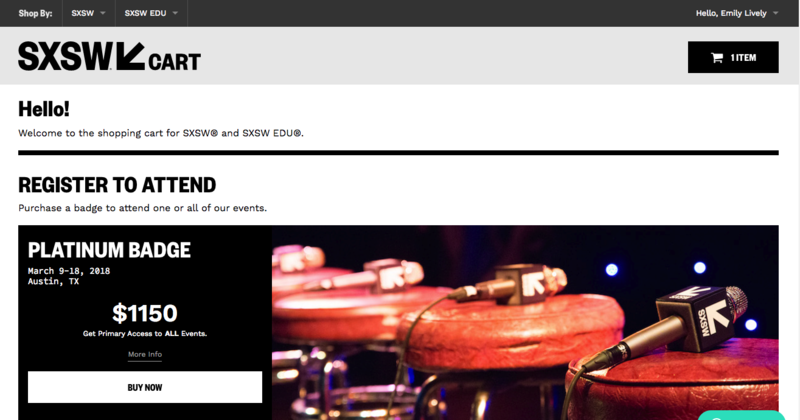 To access SXSW hotel rates, book your reservation from the SXSW shopping cart used to purchase your registration, or from your linked SXSW Social account. Select “Request Hotel” for each registration that requires accommodations. Enter your dates and follow the steps on the page to complete your hotel request. Follow steps 1-3 for each hotel reservation you need to make. If you need to change information once you’ve entered your dates, do not use the back button on your browser — make sure to use the navigation buttons on the page itself. *Note: If you're a registered speaker this is the only way to make your hotel reservation. 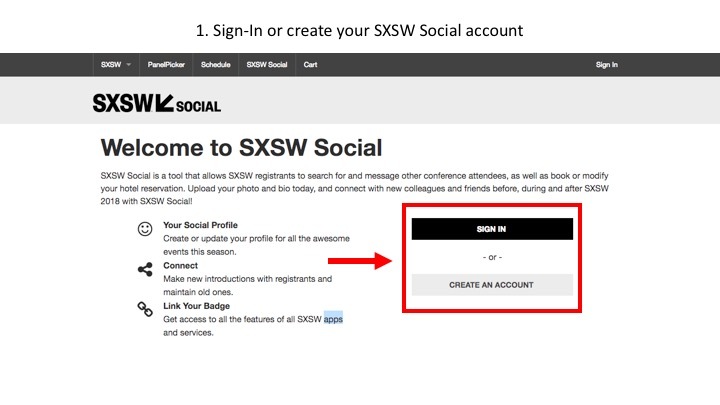 Your SXSW Social registration email contains a unique link to associate your current registration with your SXSW Social account.